It’s pretty safe to say that fans are quite looking forward to the next James Bond film, Skyfall. The franchise was rejuvenated with Daniel Craig in the excellent Casino Royale, and while the follow-up Quantum of Solace was a bit of a misfire, Skyfall has all the makings of a worthy entry to the classic series. Sam Mendes (American Beauty, Jarhead) is in the director’s chair, Javier Bardem is set as our villain, and Ralph Fiennes is onboard in a mysterious role. We got our first look at Bardem by way of some set photos just the other day, and while we’re eagerly awaiting Sony’s release of a trailer and poster, a pretty cool fan-made poster recently hit the web. 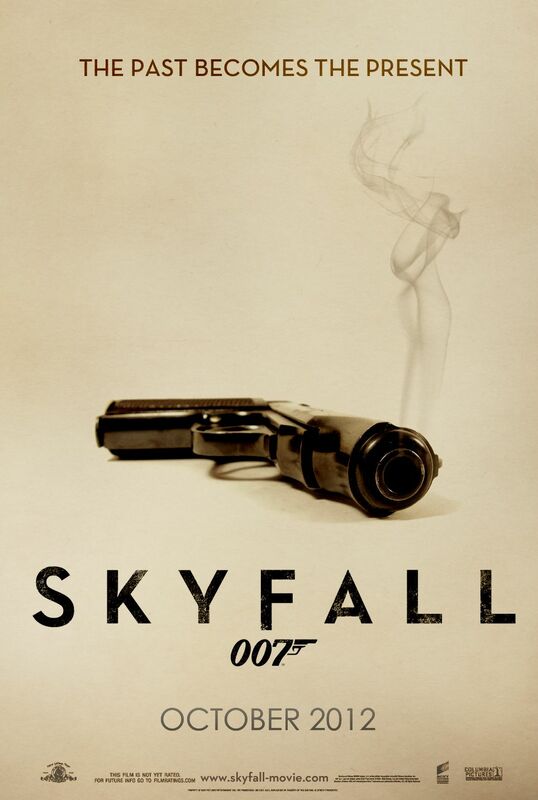 It’s minimal, but the image of the smoking gun alongside the Skyfall logo gets the Bond message across loud and clear. It may be awhile before we see a full trailer given that Mendes is still in the middle of production, so this fan poster serves as a nice reminder that James Bond returns to theaters later this year. Hit the jump to check out the fan poster. Skyfall opens November 9th in the US and on October 26th in the UK. Poster via Robert Meyer Burnett’s Twitter. Click for high-res.